Hooray for Vacation! I am enjoying a week off from work and I plan on finishing a few home projects and working on a few new craft projects. This morning after my cup of coffee, while sitting in my pajamas, I whipped up this colorful piece for my hallway. 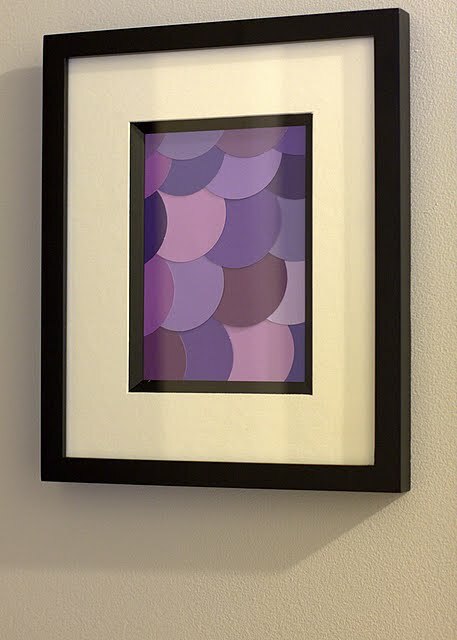 I have come across a lot of delightful artwork using paint chips. I quick search on Pinterest and I was inspired. So clever and no cost! Perfect. 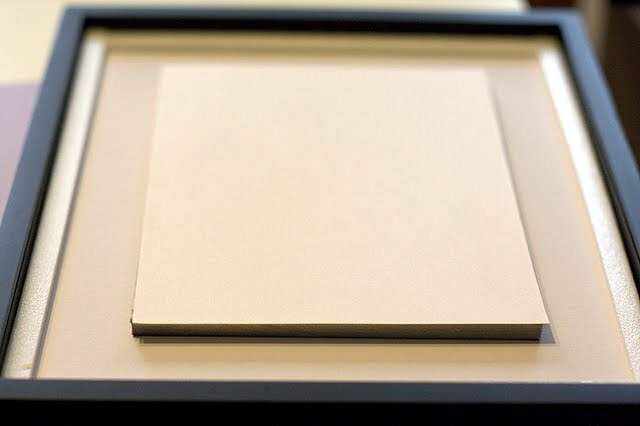 I picked up the photo frame and paint chips months ago. My upstairs hallway has been making a transition and this piece is just the pop of color I wanted for a small space between my son’s bedroom door and the hallway door frame. I used a 2inch circle cutter and a craft glue stick. 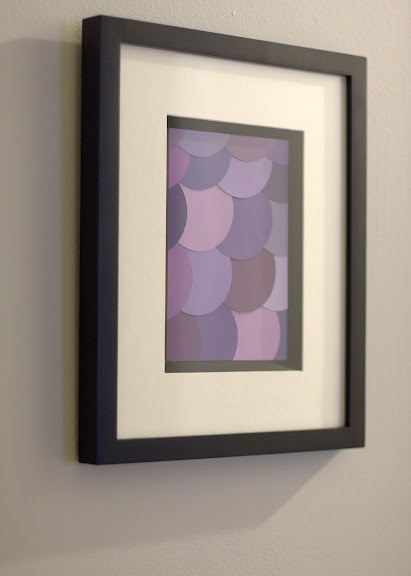 I love all the shades of purple and with the circle cutter I was able to whip these out in minutes. I cut a piece of card stock to 5×7 which is the print size of the frame. 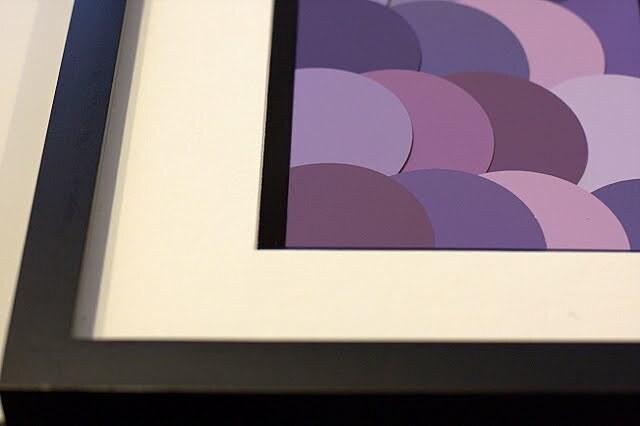 I glued the circles on the card stock in an overlapping pattern and placed it in the frame. So easy and colorful! 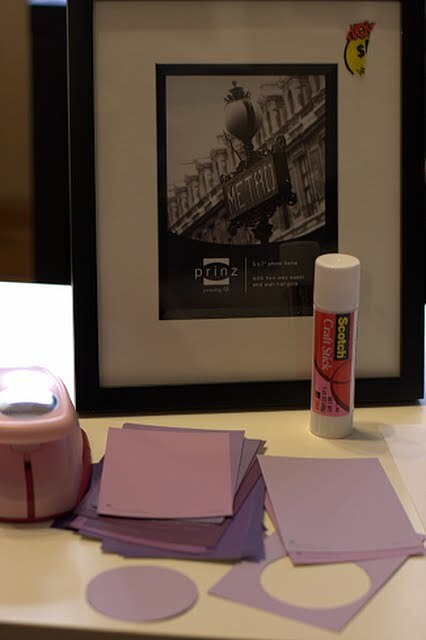 The Paint Chip Artwork works well with the color scheme as purple is the “pop” color I am using for the hallway which I painted months ago using Behr Ultra in Silver Sateen. 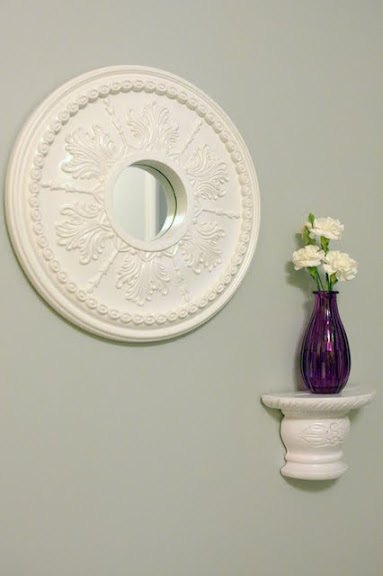 This is the ceiling medallion mirror I put together which is also in the hallway. In looking at these photos I noticed the same paint color in different lighting! I do love the purple and gray! Paint Chip Artwork? Do it! Need inspiration? Go to Pinterest! Fantastic! 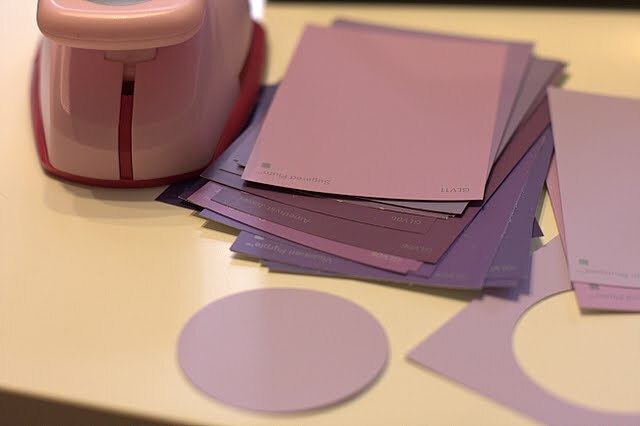 My daughter has tons of paint chips – what a great idea! Very cute! I’ve always liked that mirror, too.